When it is determined that another individual’s negligence caused injuries and/or death, they may be held liable to pay for the damage. If you have sustained injuries due to negligence on the part of a business or an individual, contact The McLemore Law firm for assistance. We will help you navigate the personal injury claim process from start to finish. Our attorneys have tackled tough cases including fatal construction accidents and cases involving 18 wheelers. We handle claims of all sizes and have the knowledge and experience to guide you and your family through the personal injury claims process. Other drivers’ negligence can cause disastrous crashes and motor vehicle accidents on highways and roadways. Drivers who are speeding, driving under the influence, distracted, or reckless can cause major accidents involving multiple vehicles. An attorney can assist you to press charges against the negligent driver to hold them responsible for the accident and resulting damages. Car accidents caused by negligent driving often cause serious personal injuries. Regardless of the severity of the accident, the resulting injuries can be permanent and require expensive treatment. We can assist you to file a claim. Semi-trucks and other commercial vehicles can cause substantial injuries when they are in motor vehicle accidents due to their extreme weight, size, and the additional time it takes them to slow down and stop. As a result, they can cause serious physical injuries to drivers and passengers in other vehicles involved in the accident. We are here to assist you to file a personal injury claim if you have been injured in an accident involving a truck. Motorcycles are at great risk on the highway. With less protection than passengers of cars or trucks, motorcycle rides are a great risk of harm when they are involved in a crash. We are experienced in helping motorcycle riders recover for their injuries when they are involved in a crash. Motorcycles offer less protection than cars and trucks, so when they are involved in accidents, their riders are at greater risk of sustaining serious physical injuries. Accidents involving buses tend to cause injury to many individuals. Public transportation typically doesn’t provide seatbelts, so passengers may suffer from serious physical injuries if there is an accident. Our firm can help you file a claim to compensate you for injuries. Accidents on the water involving boats can be as serious as crashes involving trucks, motorcycles, and cars. Reckless operation of a boat whether the driver has been drinking alcohol can put many lives at risk. Accidents involving drunk driving lead to many serious physical injuries and even deaths each year. These crashes can injure other drivers, passengers, and pedestrians. Many accidents on Texas roads involve drunk driving, and the injuries ranged from traumatic brain injuries, broken bones, spinal cord injuries, and death. Due to a serious accident at a construction site or on the highway, you may suffer the loss of a loved one. Although money can never undo the loss of your loved one caused by the accident, you may be entitled to compensation to help in your recovery. Catastrophic injuries can change lives when a loved one suffers from a traumatic brain injury or a spinal cord injury. The injuries impact the individual, their loved ones, and their caregivers. These are complex cases, and having an experienced attorney on your side ensures you will get the settlement you deserve. Accidents on the job can cause serious injuries and fatalities. There are complex laws governing accidents on construction sites, around oilfields and in industrial areas. Hire an experienced attorney to make sure the company is held liable for your injuries and to ensure you get the settlement you deserve. Medical devices and prescription drugs are not always tested enough to ensure they are safe to use. As a result, patients may suffer from serious side effects and personal injuries. Manufacturers need to be held liable for damages caused by their products. Our attorneys have experience bringing claims against the manufacturers for their negligence. Businesses often need legal help due to breached contracts, problems with real estate deals, or partners’ wrong doing. 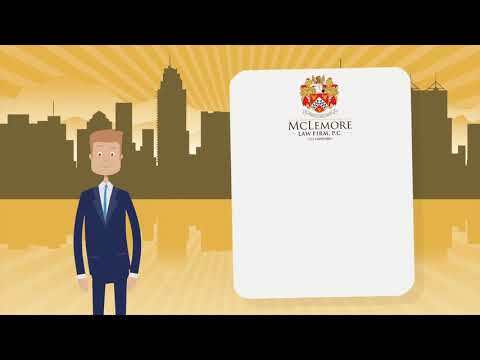 The McLemore Law Firm has the necessary legal experience to guide businesses through complex issues. 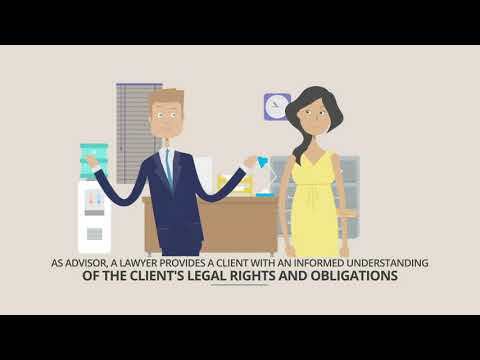 The firm’s goal is to find the best solution for every legal issue, whether it be litigation or settlement meetings.